Massapequa Park residents Lauren Lanzillotta (third from right), her husband Ronald (second from right), and daughter, Lilliana (fourth from right), recently visited Winthrop’s Hagedorn Pediatric Inpatient Center to deliver over 800 toys to the Child Life Program. Mrs. Lanzillotta, a member of the Board of Directors for CHF-NY, connected with CHF-NY volunteer, Kristen Doti (fourth from left, whose daughter is also a patient of Dr. Hoque), who engaged the support of Girl Scout Troop 2456 to also help contribute to the toy drive. Pictured with them are members of the Winthrop Child Life Team, Lauren Browne, RN, and Olivia and Gina Grittani, who helped deliver the toys. When Massapequa Park mom Lauren Lanzillotta looks at her 6-month-old son, Ronald III, she is grateful. Grateful for the stellar pediatric cardiology care he has received at Winthrop-University Hospital, and grateful for the purpose he’s given to her and so many others. Born with a rare congenital heart defect, dysplastic tricuspid valve with severe regurgitation which allows for an enlargement of the right atrium, baby Ronald has been under the care of a team of pediatric cardiologists at Winthrop, including Tasneem F. Hoque, MD, since birth. Wanting to connect with others whose children have been diagnosed with a congenital heart defect and spread hope, Lanzillotta joined the New York Chapter of the Children’s Heart Foundation (CHF-NY) – whose mission is to fund the most promising research to help improve the lives of children and families affected by congenital heart defects – where she now serves as a member of the Board of Directors. In the spirit of the holiday season, CHF-NY, Lanzillotta, along with her family and friends, community members and Girl Scout Troop 2456 in Massapequa Park, collected over 800 toys for Winthrop’s Child Life Program. The group recently visited the Hagedorn Pediatric Inpatient Center at Winthrop to deliver all of these special gifts. 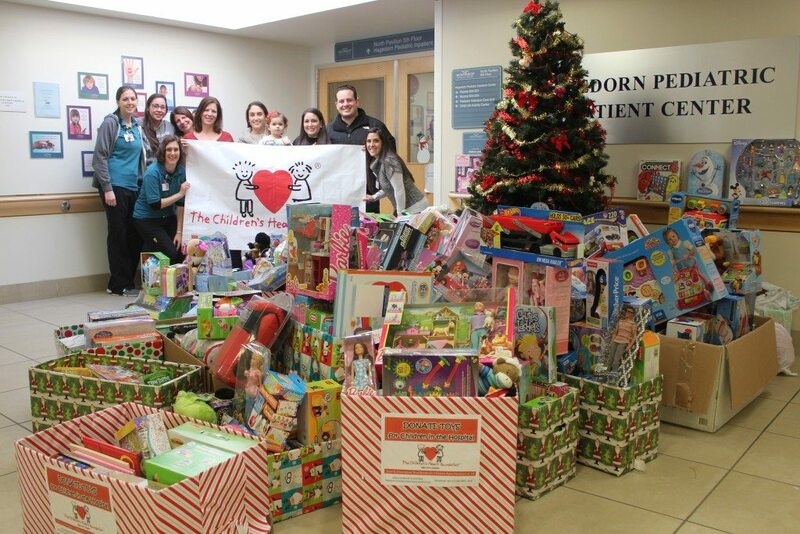 The CHF-NY toy drive collected over 4,000 toys for children at local hospitals. For more information about the New York Chapter of the Children’s Heart Foundation, visit http://newyork.childrensheartfoundation.org. For more information about the breadth and depth of pediatric cardiology services at Winthrop, call 1-866-WINTHROP or visit www.winthrop.org.